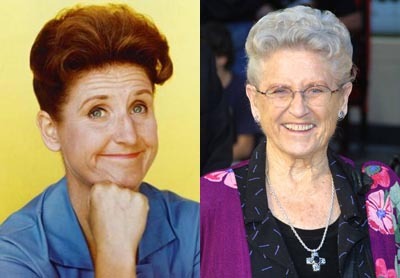 Born May 3, 1926 Character Actress and TV Star Ann B. Davis! Ann B. Davis appeared in over 25 movie and TV roles, including Lover Come Back and All Hands on Deck — but she is most famously known as the lovable housekeeper, Alice, on TV’s The Brady Bunch! Visit CMH’s BlogHub for more posts about Ann B. Davis by Veteran and Emerging Classic Movie Bloggers. This entry was posted in Mini Tributes, Posts by Annmarie Gatti, TV Roles and tagged Alice the housekeeper, All Hands on Deck, Ann B. Davis, Lover Come Back, The Brady Bunch. Bookmark the permalink.